"No evil can escape the watchful eyes of justice." Frostbite is the epitome of the old saying; "The price of freedom is eternal vigilance." 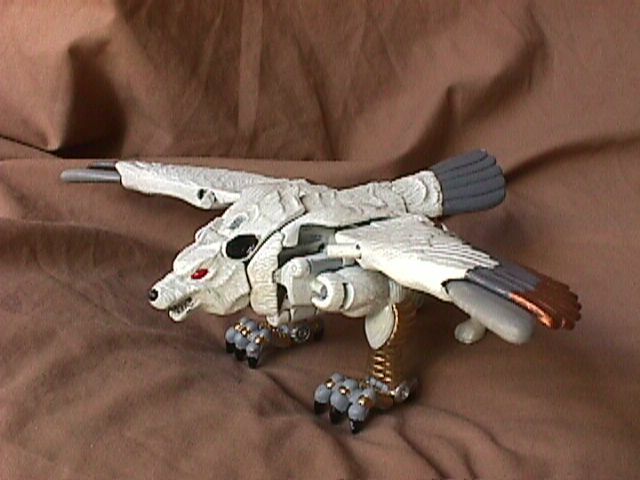 Ever watchful, he seeks to keep the Predacons from ambushing his fellow Maximals. His night patrols, while helpful, can be irritating as well. He stops everyone within the Maximal's sphere of influence for identification, including his fellow Maximals. They wouldn't mind as much if he didn't insist on using overcomplicated code phrases for identification, then holding them in custody until their identity can be confirmed. His wolf/owl mode is capable of sustained flight in almost any weather, it's claws can slice through almost any armor. 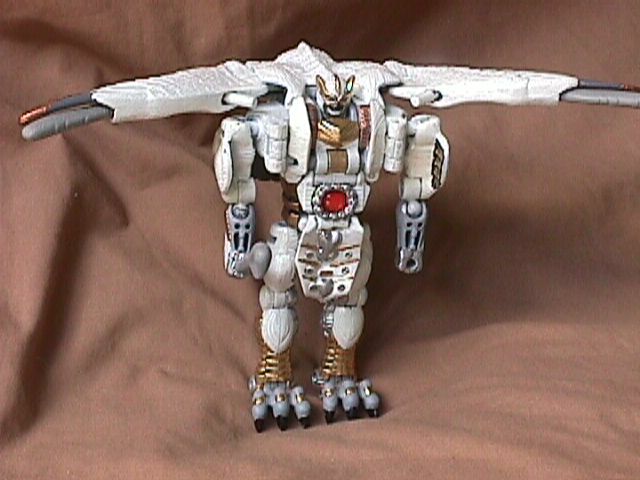 In robot mode he wields two frostbrand missiles, which can be fired from his wing tip launcher, or used as handheld weapons. Frostbite's tendency to check up on every movement within his patrol range can turn up a Predacon infiltrate. More often than not however, he checks on a useless lead allowing the real infiltrate to slip by him.